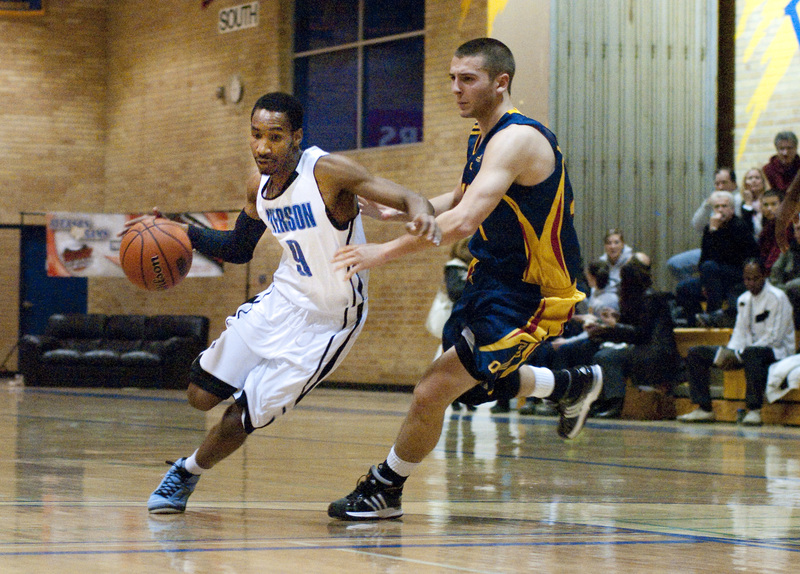 Returning home to the familiar confines of Kerr Hall after a 2-2 road trip, the Ryerson Rams’ men’s basketball team extended their winning streak to a season-high three games with their 89-50 rout of the Queen’s Gaels. The Rams looked extremely shaky coming out of the gates, spotting Queen’s an early 10-2 lead. Offensively the Rams were stagnant, relying on difficult looks late in the shot clock. The only positive that can be taken from Ryerson’s slow start was the play of rookie point guard Jahmal Jones, as he was in attack mode right from the get-go, creating match up problems for Queen’s guards in transition. Jones ended the night with a game-high 25 points. Coming into the game, Queen’s was third in the league in three-point percentage at 38.7 per cent. In practice all week Rana stressed the importance of taking away Queen’s three-point game. “We did a decent job of defending the three, we didn’t give up too many good looks,” he said. Running the Gaels off the three point line was the key to turning the game around. In the first half, Queen’s shot 4-8 from long range and were only down by five points. However, the Rams amped up their defensive intensity in the second half, holding the Gaels to 14 points in the third and the fourth quarters combined. With the slew of injuries that has hit the team this season, Rana was forced to utilize more of his bench players then he would have liked. After inserting a few of his bench players in the middle of the third quarter, they not only held onto the lead, but built upon it. “The rotation should be deeper and guys should get more time,” said Afewo Gebrekerestos,one of the bench players who is receiving more minutes due to the slew of injuries. Rana was happy with the play of the bench. Despite co-captain Ryan McNeilly’s poor shooting, the rest of the team was able to pick up the slack. McNeilly shot an uncharacteristic 1-5 for two points on the night. “Ryan wasn’t shooting particularly well tonight, but we have a lot of good players and our team’s talent level is so even,” explained Staniscia. Late in the game Gebrekerestos was hit in the mouth on his way to the hoop. He began bleeding out of his mouth and required a substitution. With a paper-thin bench, the Rams couldn’t afford to lose another player. “They said it was nothing serious, I’m ready for tomorrow,” said Gebrekerestos. The Friday night match-up had heavy playoff implications. The top six teams in each division make the playoffs. With the win over Queen’s Ryerson moved into a tie for fifth place with Ottawa, while Queen’s remains on the outside looking in with their record of 2-12. Just do me a favor and keep writing such tecrnhant analyses, OK?